Many Faith members painted one wall in resident's rooms to make them look less institutional for the moms and children who live there. The puppet team entertained the children and residents while the painting was being done. That you and I may be mutually encouraged by each other's faith. Our partnership is a relational partnership where we share in each others' successes and struggles. We visit and encourage each other whenever we can. 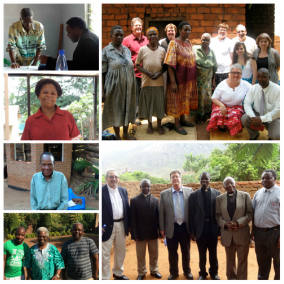 We are in constant contact with our Malawian brothers and sisters. GoGo Grandmothers The people of our church are prayer partners with Agogo at Sadzi Church. They provide prayer and help them financially each month. To make a donation to Faith Presbyterian Church click the button below.